The 2016 Olympics in Rio de Janeiro, Brazil began early this month and appears to be off to an exciting start. Despite lingering concerns, the opening ceremony and the first few days of Games have, so far, gone smoothly. In the run up to the Olympics, there were fears that Brazil’s poor infrastructure, political infighting, and under-resourced security apparatus would undermine the Games. Given the threat posed by ISIS, many security experts felt that there was potential for a terrorist attack and those fears have not yet been completely allayed. Behind the scenes, a multi-national security effort has been working to reduce the probability of such an attack. 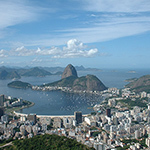 The United States has dedicated over 1,000 personnel to assist with the security of the 2016 Olympics in Rio de Janeiro. The force consists of law enforcement personnel, intelligence analysts, and special operations commandoes. Although many of these personnel will never leave the United States, hundreds have been deployed foreword to Rio de Janeiro. Once there, this contingent will work alongside the more than 50 other countries that have contributed security resources to the Games. Although the exact composition of the deployed forces is classified, the risk assessment / corporate risk assessment experts at IMG are familiar with the general activities such a force would be engaged in. Broadly speaking, the security forces will be focused on 3 priorities: detection, protection, and response. In addition to these 3 major security activities, there will be a lot of coordination to ensure that US efforts are aligned with the activities of the Brazilian government and other nations providing security resources. Detection: The intelligence component of the security operation will be mostly made up of intelligence analysts and focused on detecting threats before they strike. For example, the US is likely sharing intelligence information with Brazilian authorities on bad actors and potential threats. Furthermore, the US can leverage its vast databases to provide additional information on suspects or vet the backgrounds of security personnel working at the Games. Protection: The law enforcement and military component of the security operation is likely focused on ensuring the physical safety of Olympic athletes, spectators, and officials. Some of these personnel may provide protection directly as guards or executive protection specialists. Others, however, will be acting as observers, looking for potential weak points in security and working to correct them. Response: There have been reports that US special operations commandoes have been deployed to support the 2016 Olympics. These forces are likely part of a response element, deployed foreword so they can quickly react to a crisis. Although the Brazilian government has jurisdiction on its soil, having highly trained US commandoes on call could prove crucial in the event of a terrorist attack, hostage situation, or other incident.